It’s time to celebrate boys. 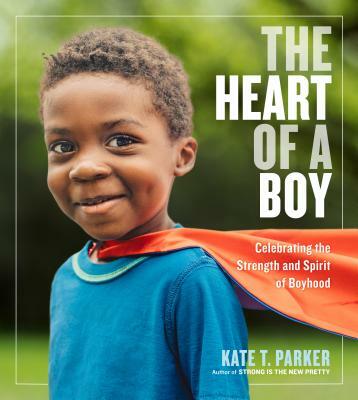 Against the backdrop of a growing national conversation about how to raise sons to become good people, Kate T. Parker is leading the way by turning her lens on boys. Author of the bestselling book about girls Strong Is the New Pretty, she now shows the true heart of a boy in 200 compelling photographs. Boys can be wild. But they can also be gentle. Bursting with confidence, but not afraid to be vulnerable. Ready to run fearlessly downfield—or reach out to a friend in need. In this empowering, deeply felt celebration of boys being—and believing in—themselves, see the unguarded joy of a little brother hugging his big brother. The inquisitive look of a young scientist examining a bug. The fearless self-expression in a ballet dancer’s poise. There are guitarists, fencers, wrestlers, stargazers, a pilot. Boys who aspire to be president, and boys whose lives are full of overwhelming challenges, yet who bravely face each day as it comes. With inspiring and joyful quotes from the boys themselves, this book spreads a heartfelt, uplifting message of openness, self-confidence, and warmth. “Every parent who picks up this book will be grateful for the impact it will have on their family.” —Gary Vaynerchuk, author of Crushing It! Kate T. Parker is a mother, wife, former collegiate soccer player, Ironman, and professional photographer who shoots both fine art projects and commercial work for clients across North America. Her Strong Is the New Pretty photo series has led to collaborations with brands like Athleta, Kellogg’s, Oxygen, and Girls on the Run. The project has also inspired Kate to launch a philanthropic arm of Strong Is the New Pretty, partnering with organizations that invest in girls’ health and education. When she’s not photographing, she can be found coaching her daughters’ soccer teams. She lives with her family in Atlanta, Georgia.